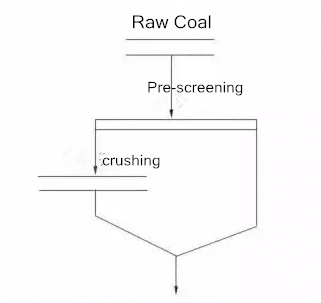 The granularity of raw coal used in coal preparation plant is big, reaching 300mm. The main method of coal preparation is concentration or jigging, which has specified requirement for the coal granularity. In order to meet the requirement of the equipment, coal preparation plant has two types of crushing: open-circuit crushing, closed-circuit crushing. 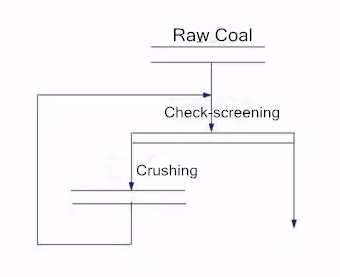 Open-circuit crushing: It contains pre-screening work, the crushed products do not need to be checked. Closed-circuit crushing: It contains check-screening work.